Our travel planner finds the smartest trips for you. - Plan yor trip between two addresses/stops. - Subscribe and get notification if there is any problem with your trips. 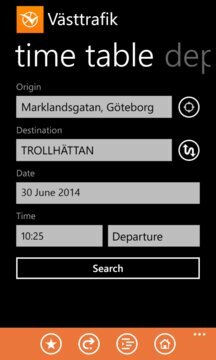 - Locate the nearest stop via gps. - Easy presentation of the trips. - Trip presentation on a map. - Disturbance information and new trips suggestions if your trips is not possible due to delays. 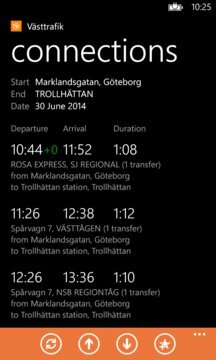 - Real time timetable for stops. - Bricks for trip home and nearest stop.